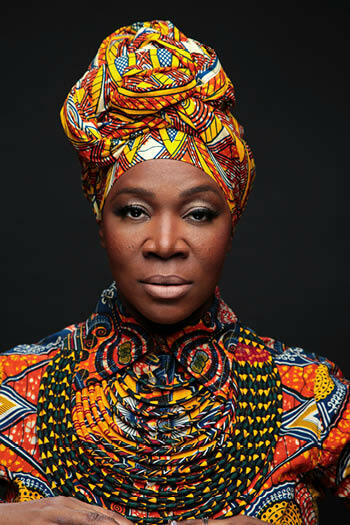 The Paramount Theatre is proud to welcome the incomparable four-time GRAMMY-winning artist/songwriter India.Arie on tour in support of her upcoming album Worthy (SoulBird/BMG), her first full-length album in five years. Worthy is India.Arie’s seventh studio album and soars as her most textured and lively work to date; an intuitive, multi-layered effort from a mature artist at the top of her creative powers. Along with the inspiring “What If” (which honors iconic trailblazers such as Dr. Martin Luther King and Rosa Parks), India also released the Caribbean-tinged song “That Magic” from the forthcoming album. Currently a Top Ten song at R&B, the corresponding video features award-winning Television/Film and Stage actor Lyriq Bent (just completed SHE’S GOTTA HAVE IT for Netflix) and a cameo from GRAMMY-winning reggae superstar Gramps Morgan. Other songs on the album include “Hour Of Love,” “Steady Love,” “We Are,” “Coulda, Shoulda, Woulda” and the title track “Worthy,” among others. Credited for creating some of the most thought-provoking songs of her generation, India continues to uphold the standard for singer/songwriters as a messenger for love, hope, and compassionate humanitarianism. She plans to showcase songs from the new album on her upcoming tour, sharing their compelling narratives as she continues to expand the canvas of her spiritual and lifestyle mission that has made her one of the most in-demand performers and speakers in the wellness space.